This extraordinary guitar, completed by C.T. Beitel in June of 1894, is signed and dated by him on the underside of the top. The guitar is in remarkably original condition. And it plays wonderfully. C.T. Beitel (Clemence T. Beitel, 1869-1916) was closely associated with C.F. Martin & Co. in the 1890’s. The Beitels are well known to have been closely associated with the Martin family in these years, both personally (including through marriage) and in the Martin guitar business. 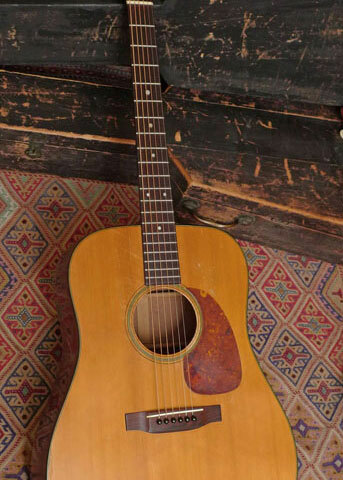 According to some correspondence and background research from family members obtained with this guitar, C.T. 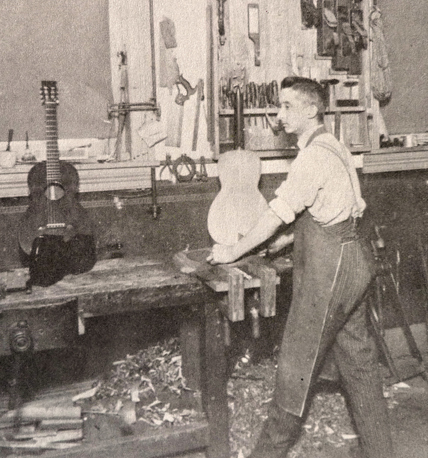 Beitel was the first American-born person to serve an apprenticeship at Martin Guitars. C.T. Beitel was a cousin to C.A. Zoebisch– who was of course the famous Martin guitar distributor and sometimes-partner of C.F. Martin & Co. in this period. Although this guitar is strikingly faithful to Martin specs, this is most likely one of C.T. Beitel’s guitars made by him to market separately from Martin. 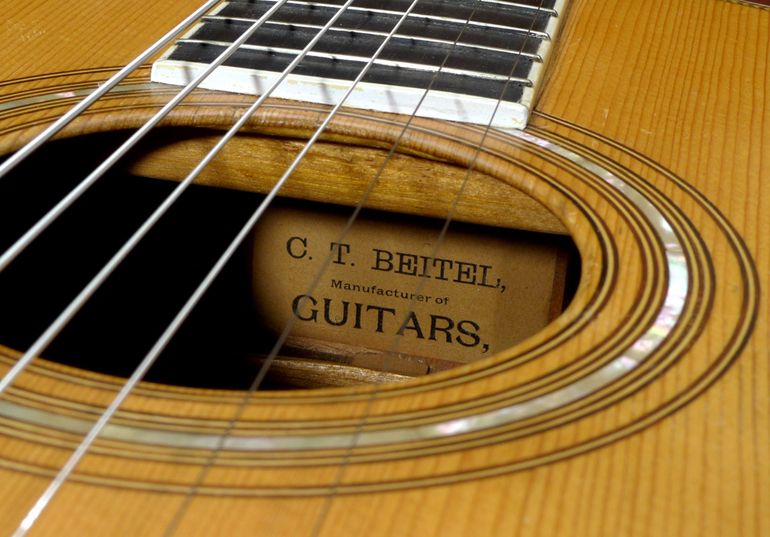 It is documented that at least one of the Beitel family had an ongoing guitar making and marketing business in the late 1890’s. 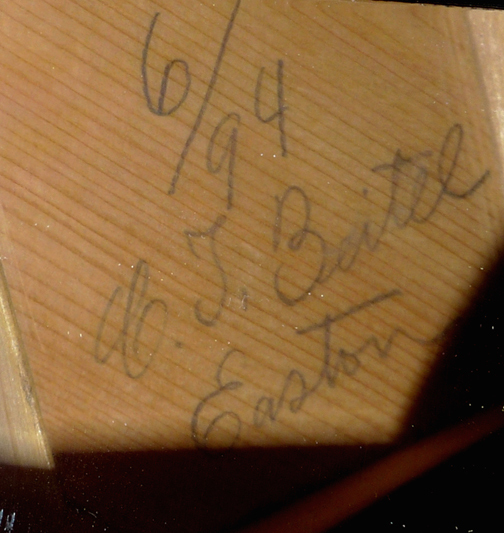 Is this Beitel guitar one of the first made under the “Beitel” name? Certainly. Are there others remaining today? 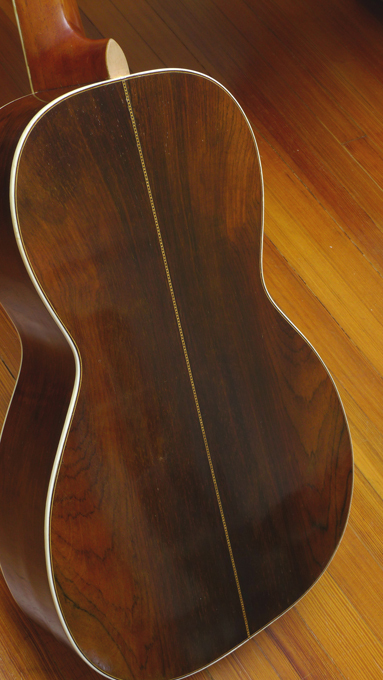 There are none known of by us–making this a rare and highly collectible guitar. 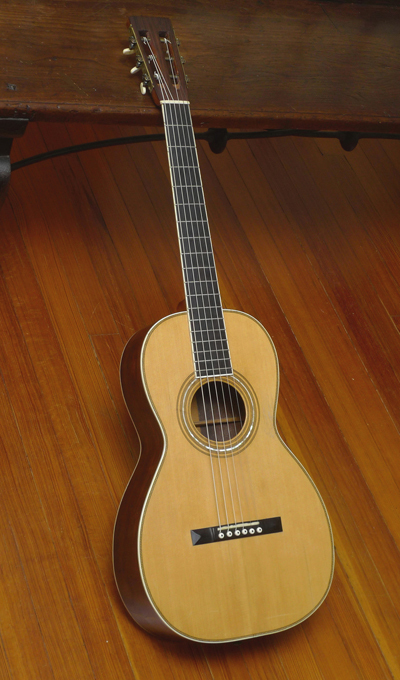 Similar to a Martin 2-27… but not exactly. 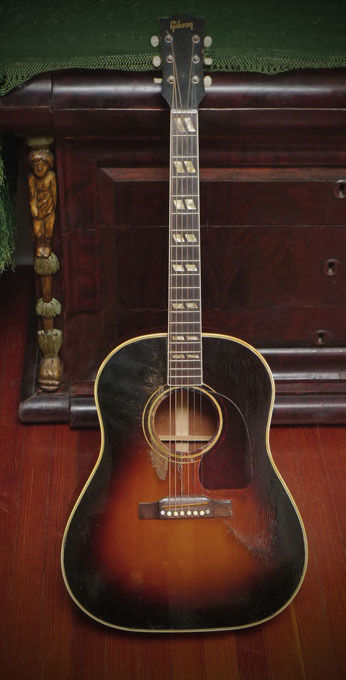 More like a cross between a 2-27, a “28” style–because of the wonderful Herringbone purfling/binding on the top– and a 30’s or higher style with its very fancy Jerome tuners. 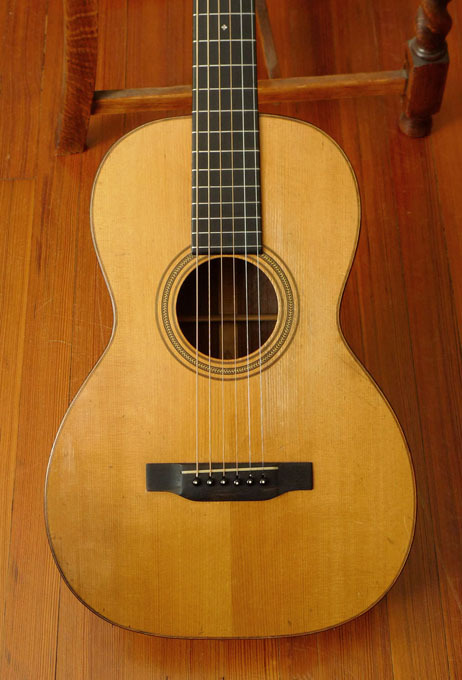 This guitar has very very similar construction, design, and look/feel of a 1890’s Martin, including shape, X-bracing, headstock, pearl inlay, binding, Herringbone, internal braces, bridge, purfling, etc. We do not believe any neck set has ever been done to the guitar. Bridge has never been off. Neck is straight, and action is low/medium. Original bridge plate. All original finish. 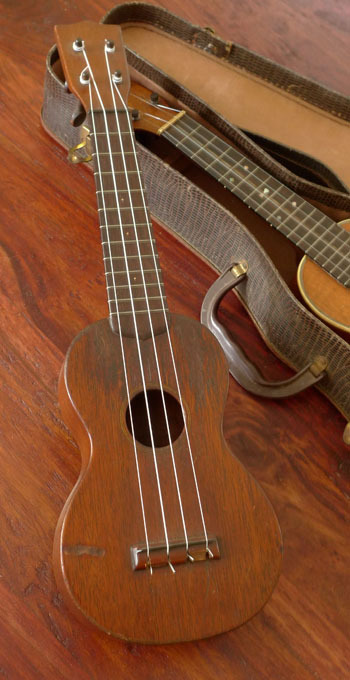 It plays amazingly well, with robust tone, and some of the best treble Brazilian rosewood ringing tone we have ever heard. (Amazingly accurate intonation: The original saddle is gone. 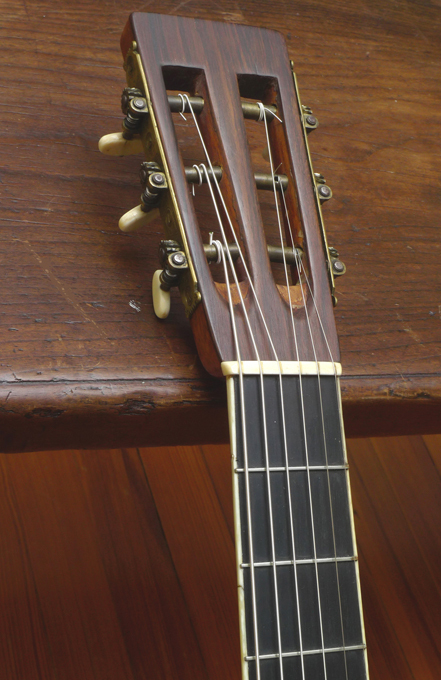 Some previous owner had a great, ingeniously compensated saddle made and installed, so that the intonation of this guitar is excellent– while retaining its original bridge including the original saddle slot on the bridge.) 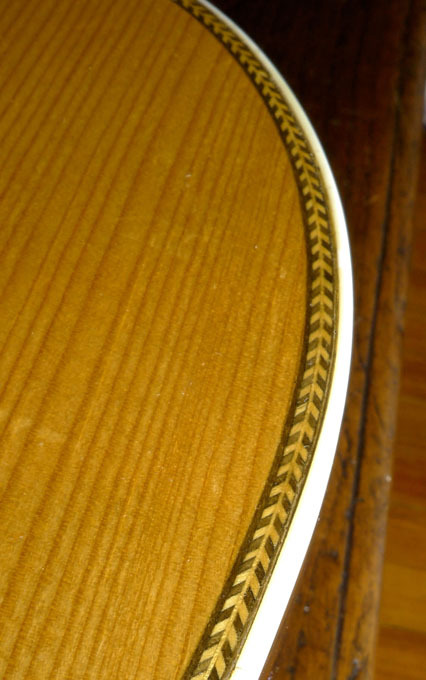 There are three cracks on the top of the guitar. One is close to the center seam, and runs from bridge to the lower edge. The other top cracks are smaller, on the treble side of the top. There are two hairline, finish cracks on back (not visible on inside). 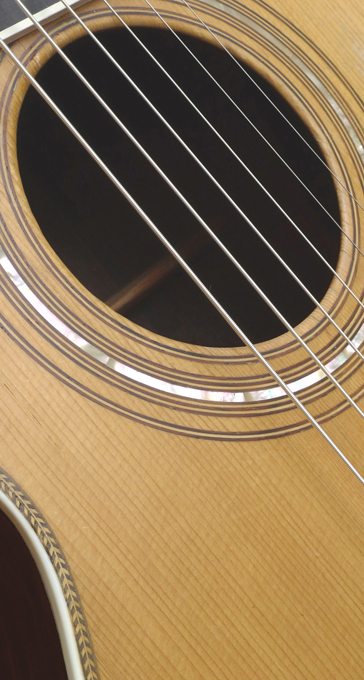 Minor pick wear, beneath the sound hole. Tone and playability: superb. Wonderful tone, more full tone than a typical Martin 2-27. The trebles especially are bell-like and clear.